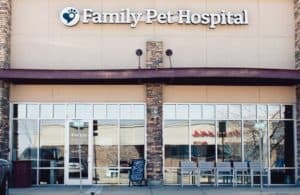 The following is a list of groups and businesses that Family Pet Hospital loves working with. Please do not hesitate to ask us any questions if you need more information! For our ultrasounds we use Dr. Jennifer Lowry, DVM, ACVR. She has a mobile service and comes to our hospital for our client’s convenience. She is a board certified veterinary radiologist based out of Four Seasons Veterinary Specialists. For some surgical procedures, we recommend using a board certified veterinary surgeon. Dr. Randy Willer, DVM, ACVS and Dr. Jeremiah Moorer, DVM, ACVS frequently perform surgeries like TPLO, fracture repairs and other orthopedic surgeries at Family Pet Hospital. When pets need advanced neurologic medicine or surgery, we recommend Dr. Loran Tzipory, DVM, DACVIM (Neurology) with Veterinary Neurology of Northern Colorado. He is located here in Longmont at the same facility as Aspen Meadow Veterinary Specialists and provides neurologic consultations, spinal surgery, and MRI. For cardiac cases, we work with Dr. Allison Heaney, DVM, MS, Diplomate ACVIM (Cardiology) and Dr. Amy Dixon-Jiménez, DVM, MS, Diplomate ACVIM (Cardiology) with Petcardia Veterinary Cardiology.